They're not quite an 'old married couple' just yet, having only tied the knot in May this year. 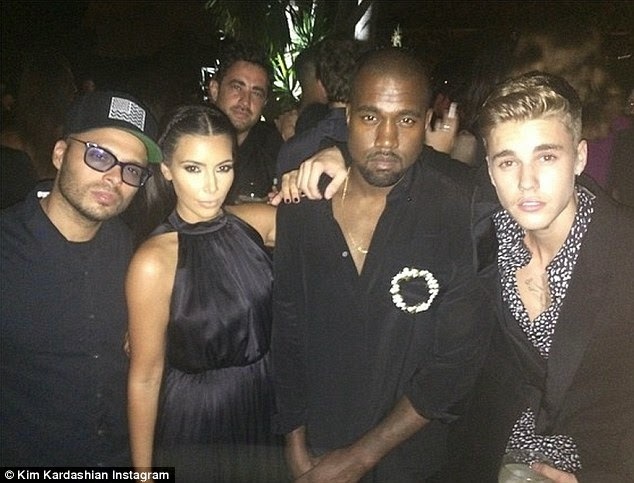 But it looks as though Kanye West's partying days might already be behind him. 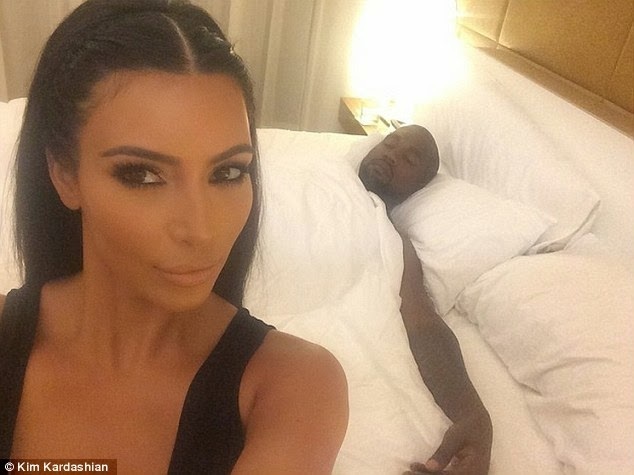 Kim Kardashian - who was seen having a blast at her pal star-studded 40th birthday bash on Friday night - posted a bedroom selfie revealing a sleepy Kanye all partied out in the background. Kim, 33, was pictured all made-up still from the party and looked flawless as always for her famous selfies. The happily settled reality star captioned the photo 'Side chicks be like...' which is slang for a woman on the side. Although it seems that any joke Kim was trying to have while taking the snap was lost on a snoozing Kanye. Earlier in the night Kim had been seen partying with momager Kris and sister Kendall Jenner. She also posed with troublemaker Justin Bieber, who was later seen cosying up to Kendall. 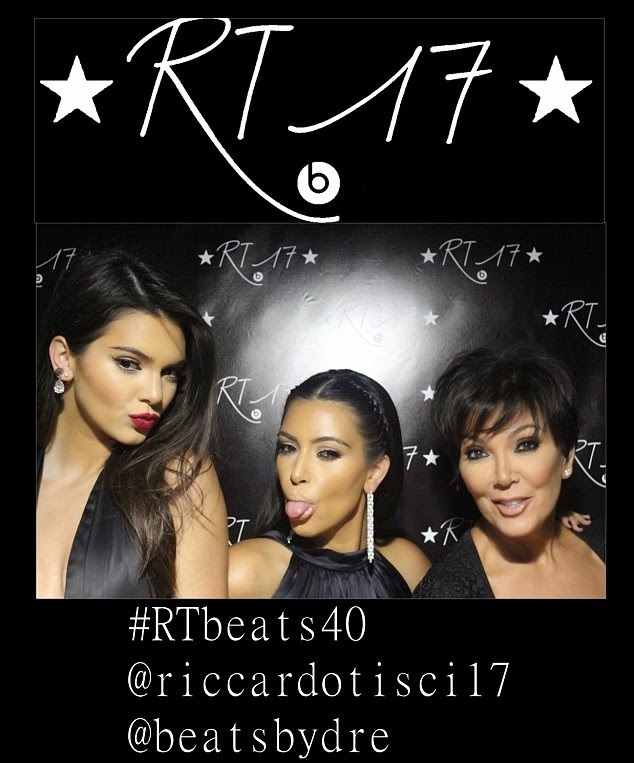 The clan were in Spain's party capital for the 40th birthday bash for Givenchy fashion designer Riccardo Tisci. 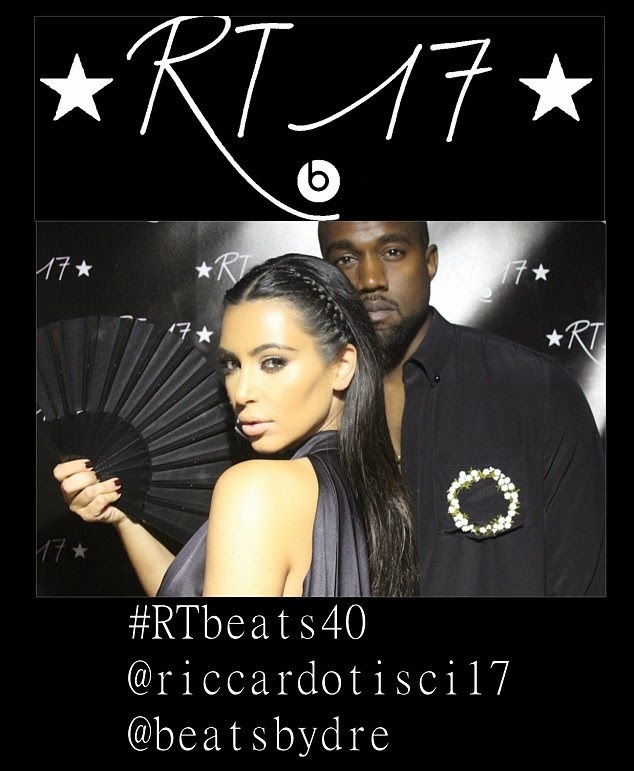 Riccardo celebrated his 40th birthday in style with Beats by dr Dre - Beats gifted him 24ct gold pro headphones that were hand delivered to him at the party by Naomi Campbell. 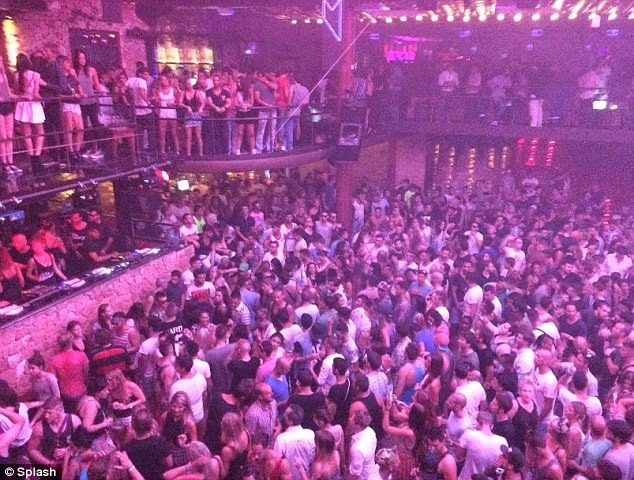 PageSix reported that Justin had banned his rival Orlando Bloom from attending the evening event. Kanye was seen arriving with Kim to the Amnesica Club in high spirits, and once inside posed a for a photobooth snap with his wife. The rapper also performed at the event, and some of it was caught on camera by Justin Bieber, who posted the video on his Instagram account. 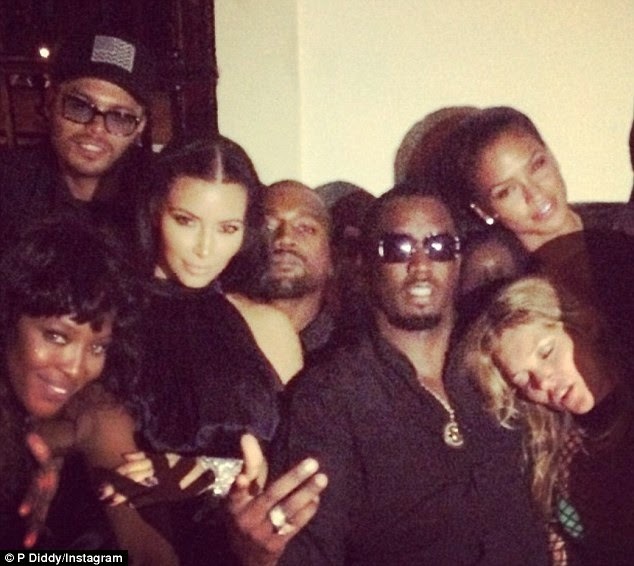 It is unclear if Kanye called it a night early, however, Kim was pictured without Kanye a number of times during the evening.